Do you have quiet nights in? Are Movie nights sometimes a hassle between whether or not to watch Disney's Frozen again or something more grown up? 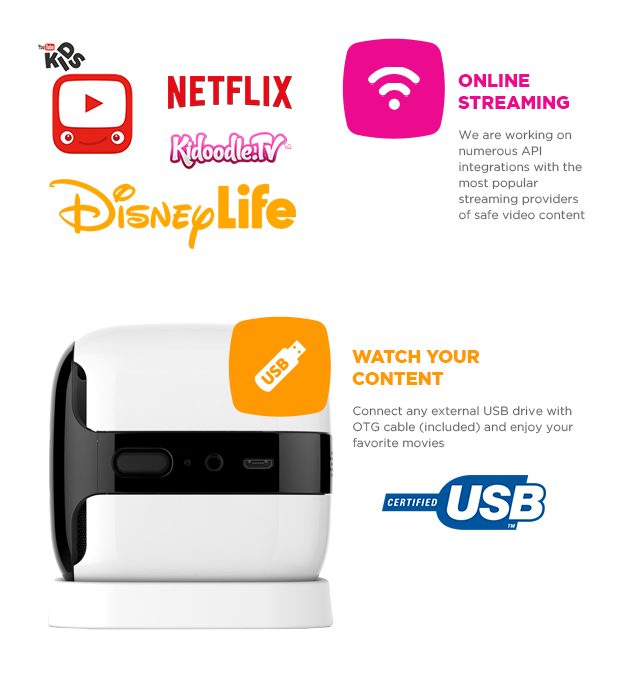 Well let me introduce you to the first cloud-connected mini-projector designed specifically for families, CINEMOOD! CINEMOOD was created to be the ideal entertainment unit for an entire family. The possibilities are indeed limitless when you bring this baby home. It's meant to bring families together and expose children to technology in a way that is engaging, rather than isolating from the rest. CINEMOOD comes with over 20 hours of pre-loaded content that has been carefully selected by educators and child psychologists (YAY!). The Cinemood has swappable smart covers (Purchase separately) that are meant to turn a plain wall or ceiling into a theater of sorts. From there, parents can choose from cartoons, digital books, or even creative play environments to be projected for the enjoyment of young viewers. The Cinemood team hopes that this will allow “watching television” to become more of a shared experience that transcends the typical zombie-like state that arises from sitting in front of a monitor or TV for hours on end. By the fall of this Year (2016), CINEMOOD is said to offer programming from major content providers based on user preferences. Your favorite streaming services are integrated to the projector so you can enjoy huge content library. CINEMOOD is for big kids too! 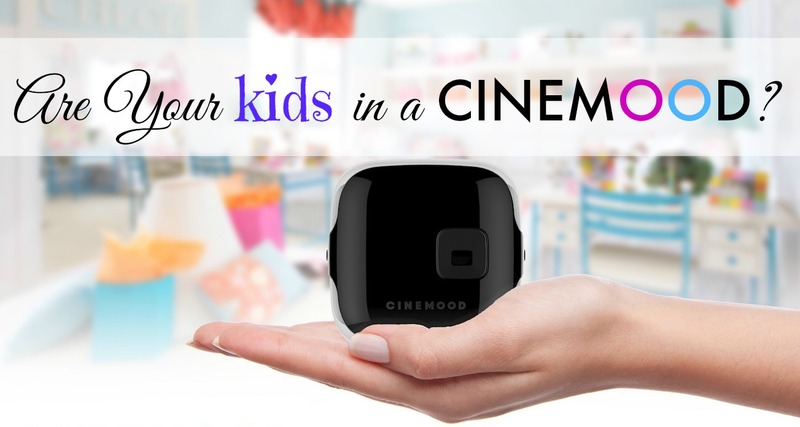 Parents will also have the option of watching their own content with CINEMOOD via a USB or WiFi. Your social accounts (Facebook, Instagram, Youtube) will integrated into CINEMOOD, so you can use CINEMOOD to access your social feeds directly to look at family photo albums and your private videos. The most surprising part of CINEMOOD is that it’s completely unlike any book or screen, or any other projector. Due to its incredible portability, it immerses you in a storytelling environment that can be projected onto any surface, like a ceiling, hotel room wall or even the side of a house for outdoor movie night. The projector runs on Android KitKat and has 1GB of RAM storage, with a DLP optical engine. It weighs in at just ~8.82 Ounces (250 Grams) and fits in the palm of your hand. CINEMOOD is currently on pre-order for $240 via Indiegogo with shipments expected to start December 2016. Children will immediately be able to use CINEMOOD upon arrival because partner cartoons and digital books are pre-installed onto the device. Favorite stories like Paddington Bear at the Beach, Winnie-the-Pooh, and Mowgli are just a few of the stories you can read straight out of the box. Kids will surely feel like they’re right in the story, creating lasting memories with a new tradition the whole family can enjoy. It’s going to be ready just in time for the holiday season – a definite “must-have” gift for families this year. 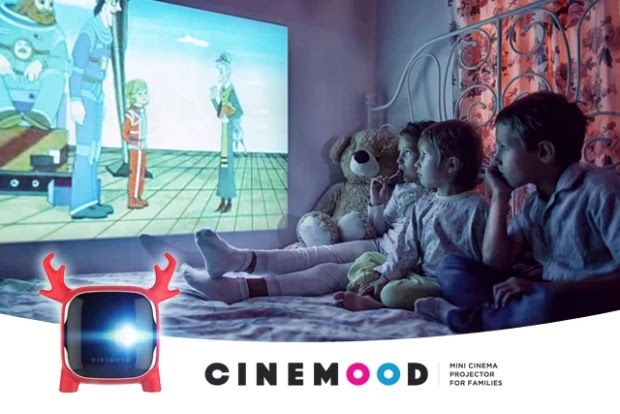 If You're looking for a new way to keep kids educationally entertained, then CINEMOOD is definitely worth your time! Hurry up and order as the Pre Sale ends Soon!